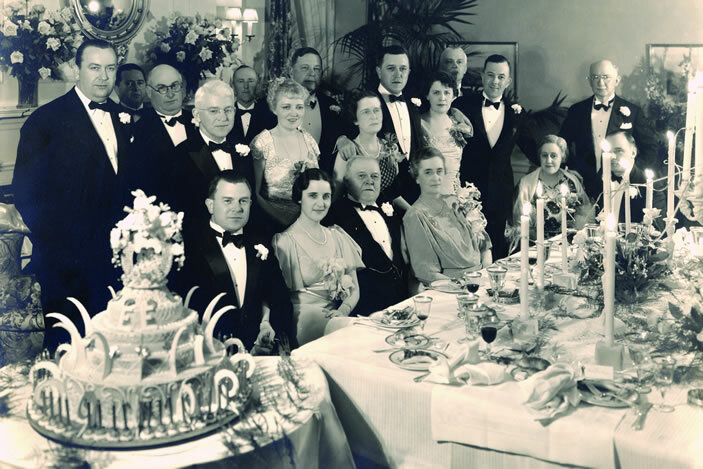 Emily Winship Woodruff, far right, first row, seated at a gala affair next to husband Ernest and in front of son Robert Woodruff, standing. Robert Winship Woodruff. 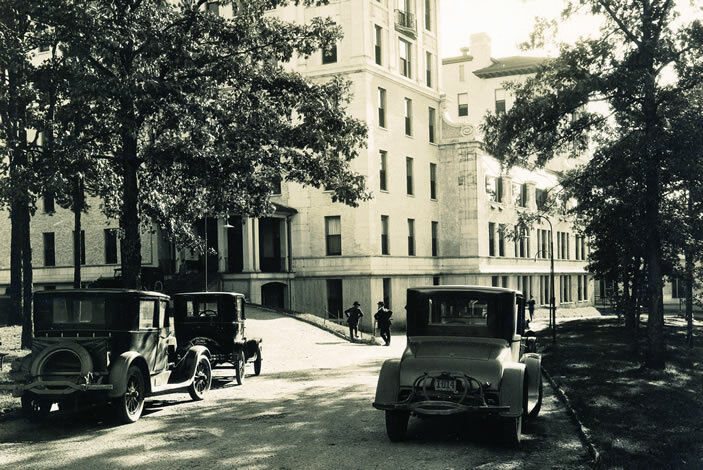 His first gift to Emory in 1937 helped establish the precursor to Emory's Winship Cancer Institute. The original Robert Winship Clinic was housed in Emory University Hospital. 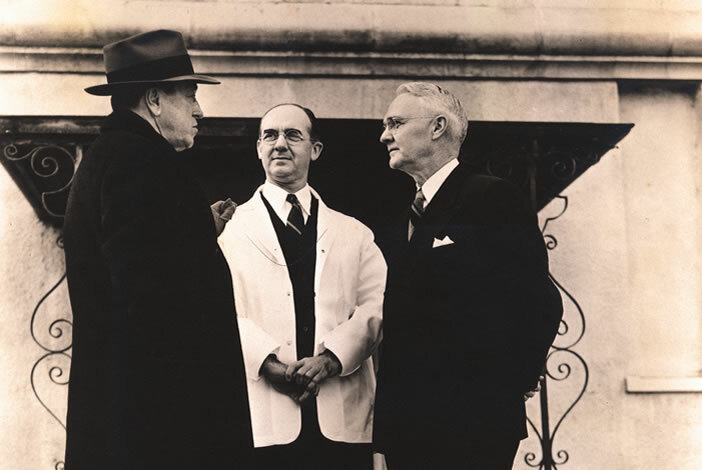 Robert Winship Woodruff, left; Dr. Elliott Scarborough, center; and Dr. Hugh Wood. 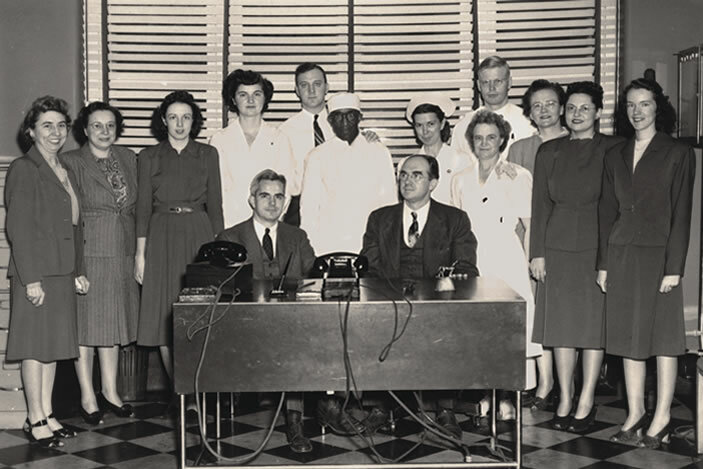 The first staff of the Robert Winship Clinic gathered for a group photo. Dr. Elliott Scarborough is seated on the right. 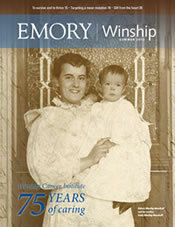 The Summer 2012 edition of Winship Magazine is a special edition celebrating the 75th anniversary of Robert Winship Woodruff's extraordinary gift to Emory in 1937 to start a cancer clinic. 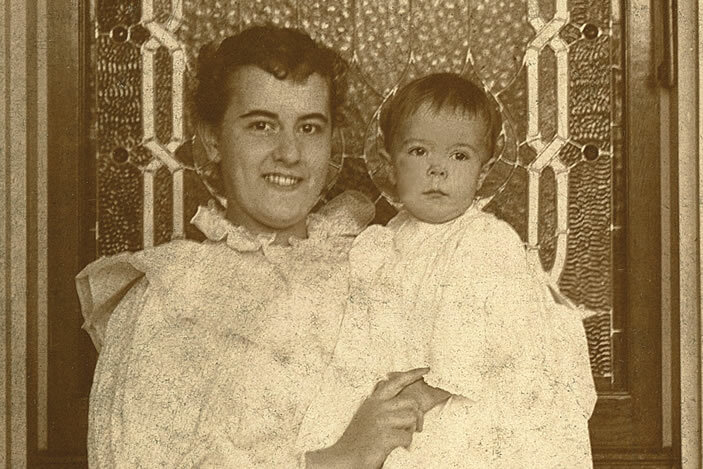 Cover photo: Robert Winship Woodruff and his mother, Emily Winship Woodruff. The history of Winship Cancer Institute, which celebrates its 75th anniversary this year, actually starts with a love story that began in 1883. The power of this love story has continued through the decades, into more than a century, and it lives at Winship today. Over the years, it inspired millions of dollars of philanthropy and immeasurable compassion. It resulted in thousands upon thousands of people's lives being touched, many of them cured from the disease that claimed the woman at the heart of this story. Her name was Emily Winship. She was born in Atlanta in 1867, soon after the Civil War. Her father, Robert Winship, ran Winship Bro. Manufacturing. The company first made railroad ties and, later, Confederate artillery. Sherman put an end to both. After the war, Winship Bro. Manufacturing was rebuilding, like the rest of Atlanta. By Emily's teenage years, Winship Bro. Manufacturing had risen to become one of the nation's largest foundries, occupying space in downtown Atlanta that is now near the site of the World Congress Center. Robert Winship's family lived in the fashionable Inman Park section of Atlanta. They happened to live next door to Ernest Woodruff's sister, Annie, who had married Joel Hurt. That's how Ernest Woodruff and Emily Winship met in 1883. The Winships were devout Methodists. Robert Winship was a trustee of Emory College, and he was considered one of the city's staunchest supporters and most generous philanthropists. Ernest Woodruff helped his family run their flour milling business, Empire Mills, in Columbus, Georgia, a bustling river city. Empire made flour with such names as "King of Patents", "Snow Flake", and "Silver Leaf". The two were married in 1885. When the couple's first child, a son, was born in 1889, they named him Robert Winship Woodruff in honor of Emily's father. With Atlanta developer Joel Hurt's strong encouragement and generous invitation, Ernest Woodruff moved his family from Columbus to Atlanta in 1893 to become involved in the running of several of Mr. Hurt's enterprises, including what was to become the Trust Company of Georgia. 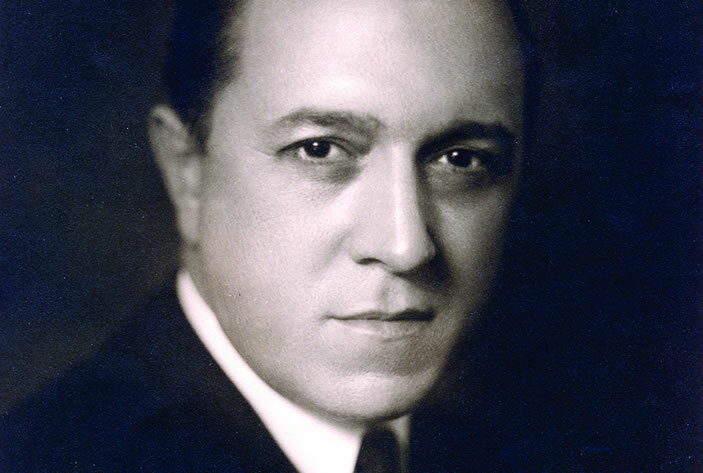 Ernest became one of the city's most successful businessmen, becoming president of the Trust Company of Georgia. 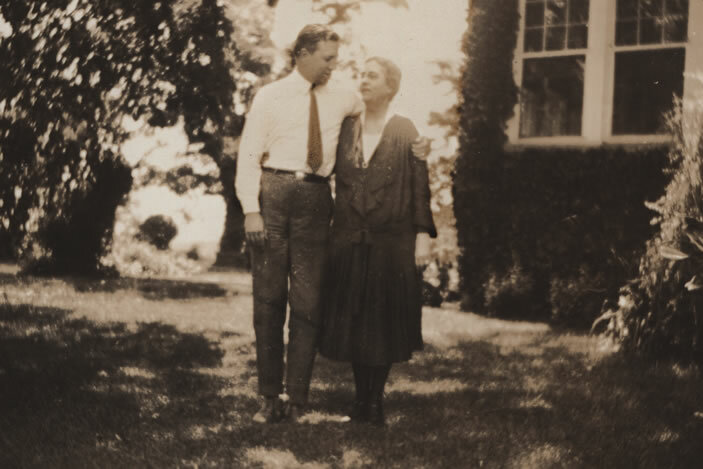 The young romantic who had written that his only goal was to make Emily Winship happy now had a family to support—two other sons had been born to the couple—and empires to build. His greatest achievement may have been putting together the purchase of the Coca-Cola company. The little boy the couple named after his grandfather later even surpassed his father in achievement, reaching peaks of success in American business unmatched by few in the 20th century. His generosity to the city he grew up in is legendary. Robert Winship Woodruff's philanthropy to Emory University alone—which totaled several hundred million dollars in his lifetime—would have been enough to secure his name forever in Atlanta. Woodruff's generosity to Emory all started in 1937, when his mother was dying of breast cancer. Emily Winship Woodruff had had to travel to New York for treatment for her cancer. It has been said that while Robert Woodruff had no children, he did have two sweethearts—his wife, Nell Hodgson Woodruff, and his mother. His love for both women was boundless. As his father had done, he too had written letters brimming with love to his mother, Emily. "Give everybody my love, and keep a great deal for yourself," he wrote in May, 1900, when he was 10. When Emily and Ernest were traveling again in 1902, he wrote, "Hurry on back. I want to see you so badly. Your loving son, R.W. Woodruff." While at military school in 1907, he wrote his mother: "Your love prompts me to put forward my best efforts, and I trust I shall always be a comfort to you. Your loving son, R.W. Woodruff." While Woodruff was not an emotionally demonstrative man, his mother's illness years later was devastating to him. "I remember when his mother, whom he adored, got sick," recalls Nell Hodgson Watt, niece of Nell Hodgson Woodruff and like a daughter to the couple. He was just crushed at losing Mrs. Woodruff. He said, "I'm going to build a clinic just for cancer, so people will think Emory before they think of any other place." He and Nell sat by Emily's bedside for days on end. While Woodruff couldn't stop cancer from robbing him of his beloved mother, he knew he could do something. He could keep her memory alive, honor his grandfather, and fight cancer at the same time. And so with a $50,000 donation to Emory University, he started the Robert Winship Clinic. It was his first donation to Emory University. He then went to New York's famed Memorial Hospital and hired fellow southerner and Harvard-educated Elliott Scarborough to run the clinic. Robert Woodruff did not want the word "cancer" used in conjunction with the clinic. "Don't call this a cancer clinic because people won't come," he told Scarborough. A news story from the time talks about X-ray and other "therapeutic machinery," but no word is mentioned of cancer. Woodruff didn't even want newspaper coverage; cancer was too taboo. "I do not believe there should be a dedication at all," he wrote about plans to mark the opening of the clinic, which occupied the first floor of the east wing of Emory Hospital. Scarborough saw his first patient in 1937.